Looking to make a difference in the environment and reduce your carbon footprint? You’ve come to the right place. First, let’s learn a little bit about plastic. Plastic is a great thing, right? It is durable, cheap, and can be recycled to make many other diverse products. Unfortunately, these positive qualities do not make up for the harmful effects plastic has on our Earth. Plastic is composed of many different synthetic and/or semi-synthetic organic compounds, containing organic polymers. The polymers are chains of carbon atoms, mostly infused with oxygen, sulfur, and nitrogen as well. 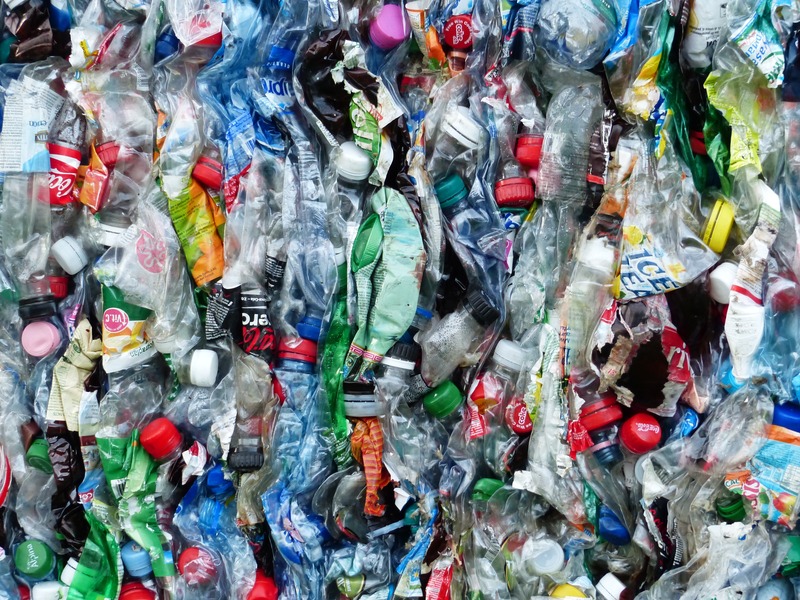 The problem is, most of the plastic used today isn’t properly recycled. It intrudes on all sorts of wildlife, landfills, oceans, and many other places. Some plastic bottles can take up to 400 years to decompose. And when is eventually breaks down, all of those dangerous ingredients permanently plant themselves into our environment. , in her article “Environmental Health News,” goes into extensive detail about how harmful plastic is to both human and animal life. Knoblauch explains, “Plastic debris, laced with chemicals and often ingested by marine animals, injure and poison wildlife. Intimidating as this information may be, do not fear! I’m almost to the fun part of this post… Although it may seem difficult to reduce your plastic usage since it has become so ingrained in our everyday lives, there is hope! After doing some research, I have come up with (in my opinion) the three easiest steps both you and everyone you know can take to make the difference this world so desperately needs. Step One: Use glass instead! Unlike plastic, glass is made of sand. It has no harmful chemicals that seep into the Earth or our bodies, and recycling glass is a huge benefit to the environment. Recycling one glass bottle can light a 100-watt light bulb for up to four hours, and run a computer for 30 minutes! Glass will not melt in your microwave, and will not release carcinogens into your drinks and food when frozen and unfrozen. Glass can replace almost any plastic product in your home that you can think of, just imagine all the things in your kitchen! All those plastic milk bottles, Tupperware, and so much more can be bought as glass, so think twice next time you throw away all that plastic…instead, recycle it, and buy glass instead! A new up and coming trend, if you haven’t already heard already, is beeswax paper! It is the most eco-friendly cloth and food storage alternative. Instead of using plastic wrap, sandwich bags, even Styrofoam and paper bags, beeswax paper should be your new go-to item. By the heat in your hands, the wax easily molds around whatever you may be wrapping or covering, and hardens shortly after. It can be washed and reused and reformed as many times as you need. Plastic bags and coverings are both expensive and very harmful to the environment. You can buy your own beeswax covering from many places online, such as beeswrap.com, or you can even make your own! One easy recipe I found is on The Art of Doing Stuff. In almost every store in the United States, it’s almost impossible to avoid the bombardment of plastic bags. According to ‘Clean Air Council,’ 1 billion plastic bags pass through the U.S. every year, less than 1 percent of which are recycled. What doesn’t end up as 300,000 tons of U.S. landfill waste litters cities, towns, and oceans. Millions of sea turtles, birds, and other wildlife are killed each year. This must end. By using a reusable shopping bag, you will be making a huge difference, more than you are able see. Whether it be an old backpack or shoulder bag you had lying around, or an official reusable bag that you can find at any store, this is one of the easiest ways to cut down on plastic consumption. I hope that by reading this post, you are both educated and motivated to contribute to this wonderful “Plastic-Free Tuesday” movement, and also to create a long-lasting and sustainable lifestyle for yourself and for the environment. Hi Emily! Thanks for this post! And welcome to Plastic-Free Tuesday! Great! Still need to try those beeswax cloths myself. For bowls another easy tip is to put a saucer/plate on top. Not as air tight, but equally saves plastic or aluminium! Then you can also stack some things. Yet for wrapping cheese I still want to try these. Thanks for the link! Thanks for the warm welcome! I’m so happy to be a part of PFT! And re-using other dishware to cover things is a great idea..so simple, yet never crossed my mind.. Thanks for the feedback, and it was my pleasure! Glad you enjoyed it. Happy PFT to you as well! Hope it’s a good one. Nice job Em! I’ll look for the beeswax paper, it’ll be an easy fix for plastic wrap and foil! Thank you so much for checking this out!!! I’m so glad you enjoyed it. Emily good job honey. Love to see you becoming more aware of our environment and a friend to all lving things . Good thing is now I have someboday to help me recycle all our plastic and cans each week. Another job for you this summer. Good job to bring public awareness to a situation, while providing easy alternatives to help save the planet. Keep up the good work. I forgot to add, I love that picture of you ! ! So proud of you. Keep up the good work and help save the planet.